Who doesn't love seeing all the pumpkins around and gearing up for Thanksgiving? 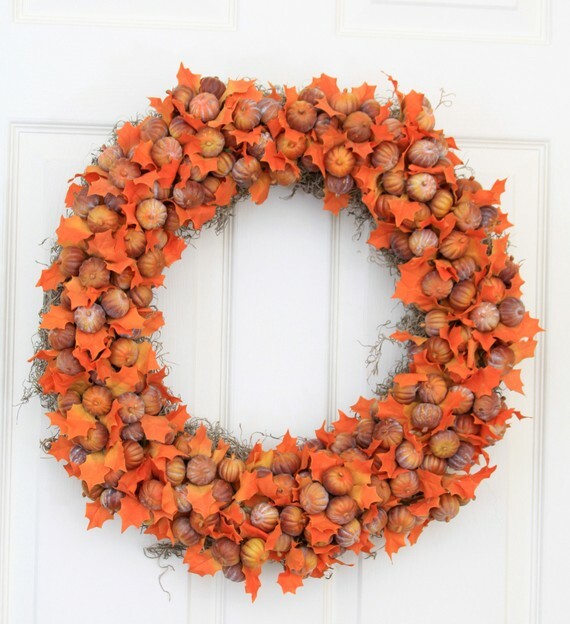 This 'Pumpkin Patch' wreath ($85) from EcoChicNYC's Etsy shop could serve as the perfect welcome for your visitors this season. And if you're not the type to hang a wreath on the door, it could even work as part of your table decor for Thanksgiving dinner. Place it in the middle of the table and fill the center of the wreath with candles in orange, burgundy and ivory.